These are the "new" mother sauces for the modern cook, and the tools you need to create them. A well-crafted sauce can bring any dish together. It can add a luxurious creaminess, bright acidity, or even a bit of crunch and texture. When learning about classical French cuisine, you’re taught the 5 “mother sauces”: Béchamel, Velouté, Sauce Tomat, Sauce Espagnole and Hollandaise. In addition to inducing anxiety in young culinary school students, these sauces are also the base of every sauce in traditional French cooking. While we still lean heavily on some of these French classics (you’ll always have a place in our hearts, hollandaise), our culinary repertoire has evolved. Instead of a tomato sauce thickened with butter and flour, we opt for a lighter Italian Pomodoro. 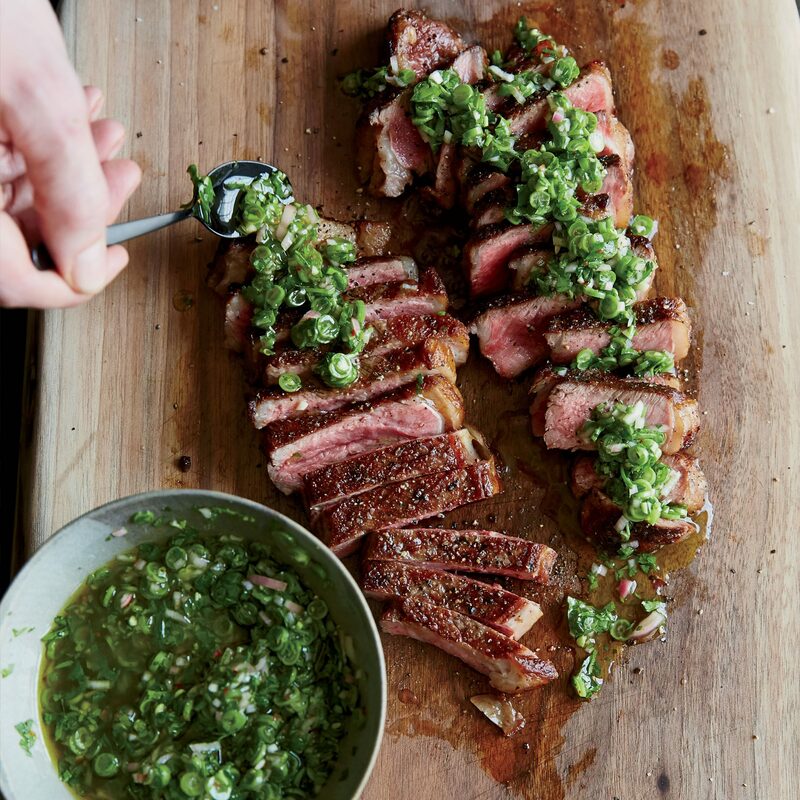 No one is simmering a rich brown Espagnole sauce for 8 hours to serve with their beef tenderloin - we’re mixing up a bright green chimichurri that only takes 10 minutes. As our home cooking has become more diverse, so have our “mother sauces”. Read on for our five essential sauces for the modern home cook, plus the key pieces of equipment you’ll need to pull them off. 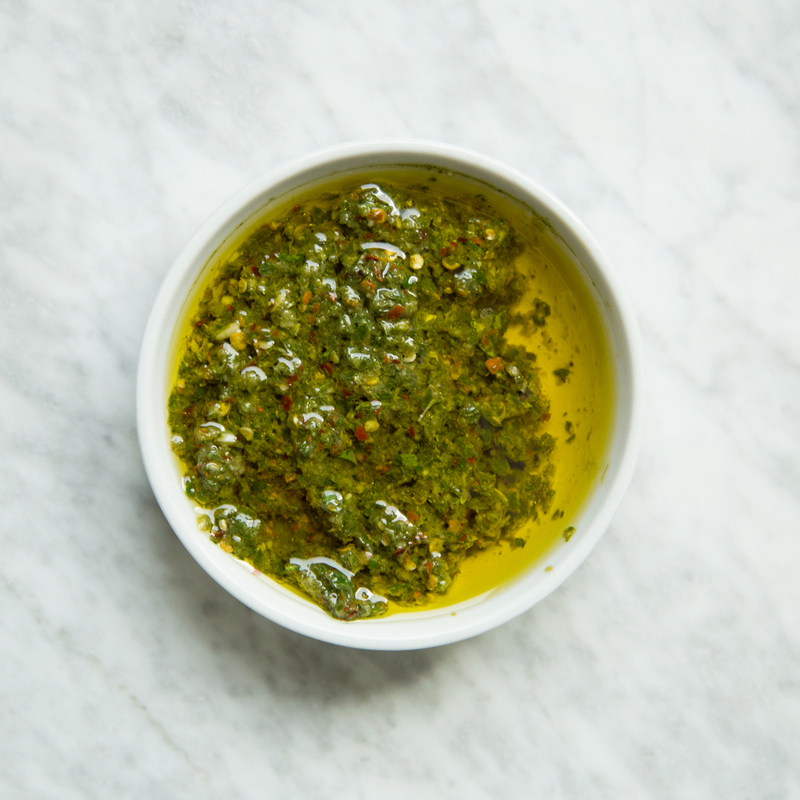 Part of the salsa verde family, chimichurri is a bright, herbaceous sauce that we have ready-to-go in our fridge all year long. Similar to its more popular cousin, pesto, it can be made with whatever tender green herbs you have in abundance. In fact, it’s best when you use a mix: parsley, cilantro, mint and basil are all great options. The main components are herbs, olive oil, vinegar or lemon juice, and garlic and/or minced shallot. Looking for a little crunch? Add some chopped toasted almonds. Want some heat? Add minced chili or crushed red pepper. It’s fantastic drizzled over grilled meat or vegetables, tossed with greens like a vinaigrette, or as a dressing for pasta salad. It’s salty, acidic, oily and vivacious and the missing link to almost every dish. While you can make it in a food processor (expect a thicker, smoother, pesto-like texture), we like the rusticity of chopping everything by hand and mixing it up in a bowl. Hollandaise is the only classic mother sauce that’s thickened using emulsification instead of a roux. Traditionally, this sauce is made by setting a heatproof bowl or saucepan over a pan of gently simmering water (also known as the double boiler method). In the bowl, you whisk egg yolks with something acidic like lemon juice and then slowly stream in melted butter. The gently simmering water cooks the egg yolks and the butter gives you a thick, velvety texture. While this seems easy enough, far too often the egg yolks overcook and the sauce curdles. Luckily, our Culinary Director-at-Large Justin Chapple came up with a foolproof approach to hollandaise. The secret? A blender. Instead of using the heat from a double boiler to cook the yolks, Chapple purees the egg yolks in a blender and then streams in hot melted butter, thickening and cooking the hollandaise. (Check out his super-easy method here) Spoon this unctuous sauce over eggs benedict, steamed vegetables or use as a dip for a seared steak. 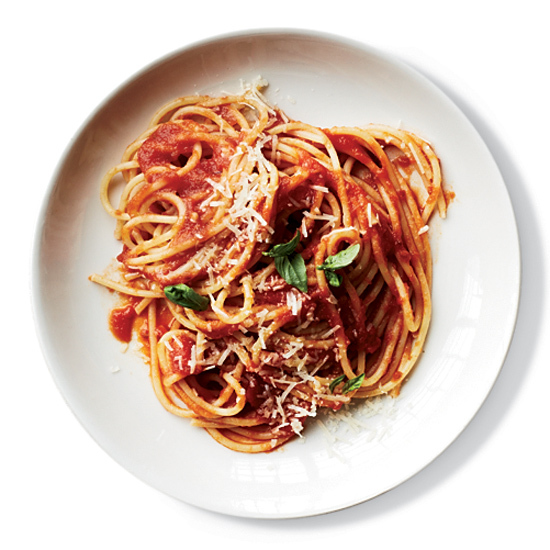 Pomodoro is a beyond-easy tomato sauce. As compared to the quick-cooking, chunkier marinara sauce, pomodoro uses crushed tomatoes and simmers until it is thick and a deep rich red. Seasoned with a bit of olive oil, garlic and salt, this sauce can be used as-is for a simple pasta or on chicken parmigiana. You can also doctor it up with chopped capers and anchovies, or fresh basil and crushed red pepper. When making pomodoro, a wide sauté pan or skillet with low sides is ideal. This helps the moisture evaporate and the pomodoro thicken, plus the extra space makes it easy to toss your pasta straight into the sauce. Béchamel is a classic for a reason. While this sauce doesn’t have much flavor on its own, it is the base for many dishes. It begins with a roux, a thickener made by whisking melted butter with flour. You want your roux to smell toasty and look like sand – anything darker will discolor your white béchamel. Then, slowly whisk in milk and simmer until the sauce is thickened. Season with salt and pepper and add a touch of freshly grated nutmeg, if you like. Layer this sauce in a lasagna, smear it on a croque madame, or add cheese and it becomes a mornay sauce for mac-and-cheese. It’s incredibly versatile. The only equipment you need to make this sauce is a saucepan and a good whisk. You want to use a heavy-bottomed pot to prevent any scorching while your sauce is cooking. Pungent with fried garlic and vinegar, ruddy red from dried chiles, textured with toasted nuts and pulverized bread, romesco is a Catalan treasure in sauce form. Its consistency, temperature and exact composition all get tailored to how the sauce will be used: whether to flavor a monkfish and potato stew on the coast, or to sauce a rustic fried rabbit dish in the Catalan hinterlands. 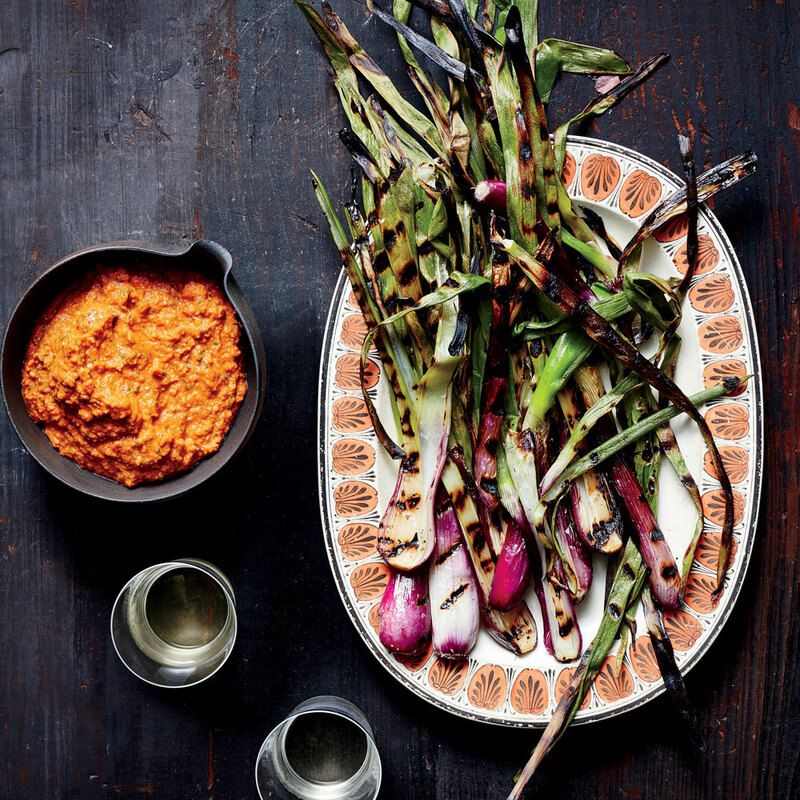 But the truth is that a good romesco tastes awesome with anything, from boiled potatoes to grilled seafood to pristine stalks of asparagus—or on its own, with a spoon. Where to eat it: Run, don’t walk, to Tarragona’s seafood mecca Barquet, where you can try chef David Solé i Torné’s famous romesco-flavored seafood paella. Romesco is a puréed Spanish sauce made with chilies, tomato, bell pepper, garlic, toasted nuts and a generous amount of olive oil. It’s smoky, spicy and creamy – use it as a sauce for grilled meats and vegetables, as a dip for crudités or smeared on a sandwich. For maximum flavor, you’ll want to toast the nuts yourself and soak a mixture of dried chilies. The ingredient prep is a bit of a process, but it’s quite easy once you get everything in the food processor. Be careful not to over-process it – the chunks of nuts add nice texture.